There's a well-written summary of the Knight's Ferry Bridge in the Historic American Engineering Record (HAER) Website. 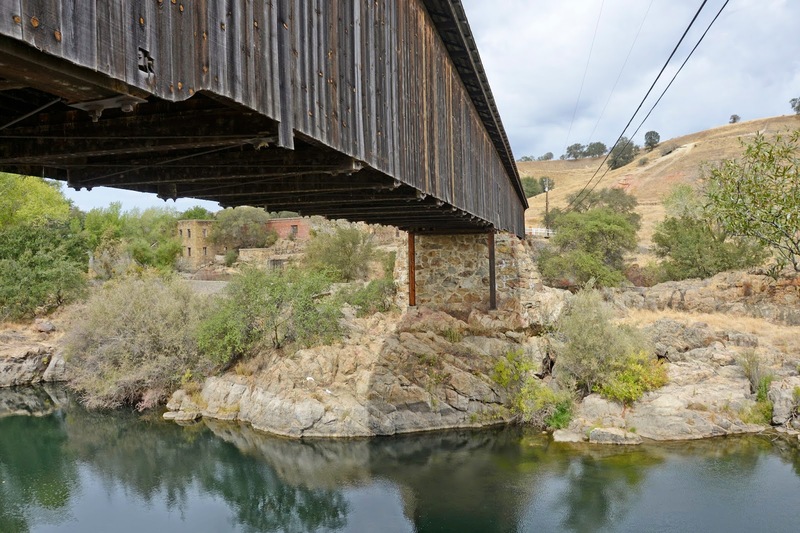 Interested readers can learn about the history of bridge building in California and about the design of this bridge. 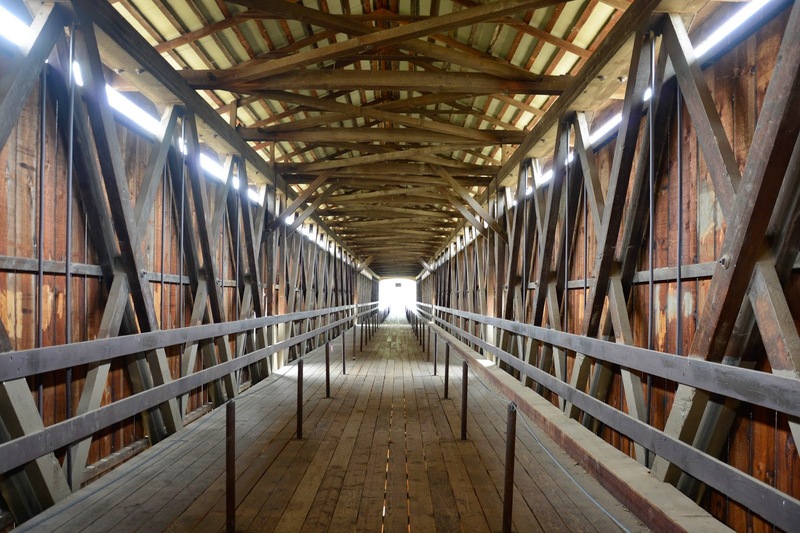 The Knight's Ferry Bridge is a four-span wooden Howe truss covered bridge. The Howe truss includes vertical members (the steel rods) in tension. The legs of the 'Xs' are trying to close (like pairs of scissors) and the rods are keeping them in place. Slat windows at the top chord and clear story windows between the panels bring light into the bridge. At the abutments the lower chords rest on large bedding timbers on top of mortared rubble stone. Timber posts provide additional support in front of the abutments. There were only two bridges (other than logs and stepping stones) in California before 1850. With the Gold Rush the construction of toll roads and bridges flourished. California has gone full circle. Now roads and bridges are being built by private companies rather than being owned by the public. Stanislaus County, California Bridges: Knight's Ferry Bridge across the Stanislaus River (2) by Mark Yashinsky is licensed under a Creative Commons Attribution-NonCommercial-NoDerivatives 4.0 International License.